Listen. Did you hear that? That’s the sound of 19,387 online entrepreneurs in the SAME industry niche as you, shouting out to the same audience as you. You’re somebody who knows you have an amazing service or product, but you’re not reaching enough people and leveraging your time with the work you’re doing. risking burnout and losing your dream. After working with many coaches, consultants and entrepreneurs, these are the 3 most common things I see holding people (like you) back from doing live video. You’re concerned that if you’re making videos yourself you won’t look professional enough. You’re overwhelmed with today’s technology and the whole idea of making video feels daunting. You’re maxed out with not enough time in the day to keep up with daily tasks, let alone reaching out and engaging new people. Make a big impact & reach a bigger audience with video. looked professional & at ease on video while sharing your passion and vision? introduced the best version of yourself to the kinds of people you’d really like to work with? could show the transformation you bring to your clients’ lives? shared a message that’s perpetual and that grows on its own? – and could do your selling for you 24/7? had more time to do the work you really love? I’ve seen too many entrepreneurs struggling because they’re just not being seen by enough of the right audience, which is why I have a passion for helping small business owners craft the story of the difference they make for the people they serve. I’m here to help you stand out. You don’t need to get it perfect. You just need to get it out there. I’ll help you present your core message on video so that your ideal clients will get to know, like and trust you – before they even meet you. look confident and professional on camera. capture attention and reach a bigger crowd. be an inspiration to your ideal clients. involve & engage your audience. turn your viewers into clients. You’ll have a customized, live video making system that puts you out in front of your target audience without taking a lot of time or money. Every time you go live, you’re newfound clarity and confidence will help you win over any audience. Plus you’ll be creating recorded video content that you can use in tons of different ways. 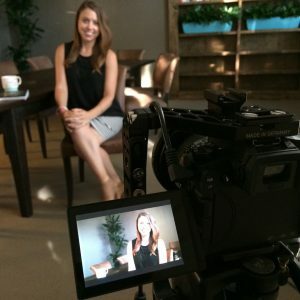 If you want to learn more about live video marketing and which strategy would work best for you, click here to schedule a complimentary Video Brand Breakthrough Session. 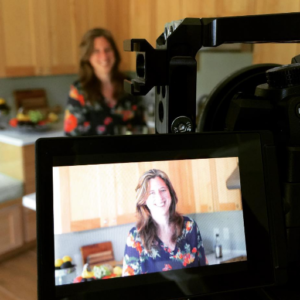 Don’t Just Make A Video – Make An Impact! You’re just one step away from sharing your message with more people, attracting your ideal clients and making a real difference. Get started now with your complimentary Video Brand Breakthrough Session! Craft the story of why you do what you do. Show your own before & after – your own transformation. By sharing your passion for what you do, you’ll show why your work matters to you. By sharing your goals & vision you’ll show why it matters to your customers. Goal: Capture your why story with video. Speak the language of your clients & customers. Show their before & after pictures – their struggles and success – where they are now and where they want to be… By sharing the emotion of past clients’ transformation, your audience will experience the same emotion – and your message will resonate. 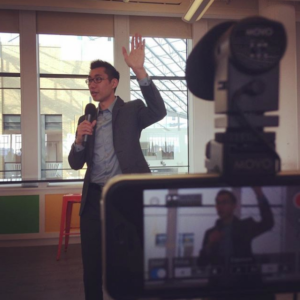 Goal: Capture your clients’ story with video. Show your customers how to get the solution they’re looking for. When you give them the experience of getting where they want to be, they’ll believe in the possibilities of transformation from working with you. Goal: Capture your how-to story with video. Create video storytelling your customers look forward to. Learn how to give value, engage in conversation and share your experience so your customers see that you care about them and understand their problems. Goal: Grow your reach and engage a new audience. Go where your audience already is online and deliver video stories via custom messaging. Learn how to enhance your online presence and social media strategy with video. Develop a system so your video stories can communicate your message 24/7. Goal: Your audience recognizes you as a go-to expert. Monitor who is watching your video and respond according to your audience’s curiosity and interests. Learn to identify what metrics to follow so you’ll ensure the success of your business. Goal: Clients think you’re reading their mind (& you’ll know what to do next). Get a FREE 45-minute video branding session where we’ll explore what’s keeping you from getting your message to the right audience and the #1 way to move forward with attracting your ideal clients with video.